Filed under seal on December 21, 2017, in the US District Court for the Eastern District of Virginia, FBI Special Agent Megan Brown's affidavit was filed in support of a criminal complaint alleging that Assange conspired to "access a computer, without authorization and exceeding authorized access, to obtain classified national defense information" and "access a computer, without authorization and exceeding authorized access, to obtain information from a department or agency of the United States in furtherance of a criminal act," Sputnik reported on Monday. The indictment followed on March 6, 2018. Together, the filings allege that Assange helped former US Army intelligence analyst Chelsea Manning steal classified files from a US government database, which WikiLeaks then published. 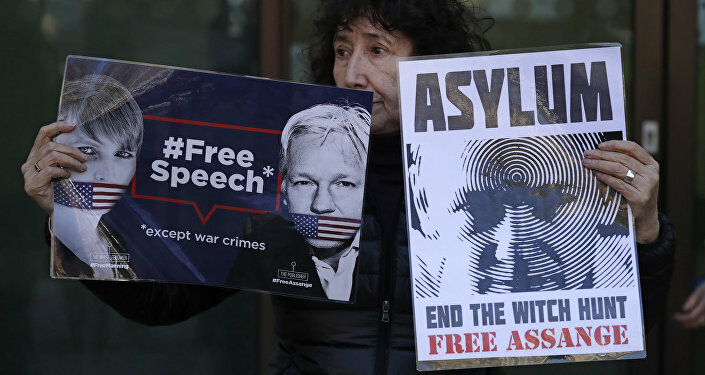 However, Assange's Thursday arrest wasn't for these charges; it was by British police in London, where he skipped bail in 2012 after being recalled to Sweden for questioning regarding a sexual assault investigation. Perceiving he'd be extradited to the US if he were taken into police custody, Assange sought asylum in the Ecuadorian Embassy to the UK, remaining inside the building until last Thursday, when the Ecuadorian government suddenly terminated his asylum status and permitted British police to take him away. Joe Lauria, editor-in-chief of Consortium News and author of the book "How I Lost, By Hillary Clinton," told Radio Sputnik's Loud and Clear Tuesday that surreptitious inclusion of the Espionage Act reference was puzzling, but definitely intended as an attempt to criminalize journalism itself, since handling classified information is something many journalists do at some point. ​"Count 1 of the indictment in section B says that Assange is charged with intentionally accessing a computer ‘without authorization and exceeding authorized access, to obtain information from a department and agency of the United States in furtherance of a criminal act in violation of the laws of the United States Code,'" listing the allegedly violated sections of that code, Lauria noted. However, these code violations aren't listed at the top of the indictment — only "conspiracy to commit computer intrusion" is; i.e. Section 371. A screenshot of Julian Assange's indictment, showing the sections of the US Code cited. Section 793 pertains to the Espionage Act. A screenshot of Julian Assange's indictment, showing the count with which he is charged, and the absence of US Code violations cited later in the indictment. (e) Whoever having unauthorized possession of, access to, or control over any document, writing, code book, signal book, sketch, photograph, photographic negative, blueprint, plan, map, model, instrument, appliance, or note relating to the national defense, or information relating to the national defense which information the possessor has reason to believe could be used to the injury of the United States or to the advantage of any foreign nation, willfully communicates, delivers, transmits or causes to be communicated, delivered, or transmitted, or attempts to communicate, deliver, transmit or cause to be communicated, delivered, or transmitted the same to any person not entitled to receive it, or willfully retains the same and fails to deliver it to the officer or employee of the United States entitled to receive it… Shall be fined under this title or imprisoned not more than ten years, or both." "If two or more persons conspire to violate any of the foregoing provisions of this section, and one or more of such persons do any act to effect the object of the conspiracy, each of the parties to such conspiracy shall be subject to the punishment provided for the offense which is the object of such conspiracy." Section 793 "is the real killer one in terms of journalism," Lauria told hosts Brian Becker and John Kiriakou, "because there's no doubt that journalists, all the time — including Assange — obtain, and hold and possess classified information and disseminate it. That's criminal under the Espionage Act, 793(e), and it's mentioned here." "So when this first indictment came out, everyone in the press was sighing a big relief," Lauria said. "But this reference is very curious." Lauria pointed out that the measures Assange took to protect Manning's identity, including anonymous communication, "something that's routinely done in journalism," were what formed the basis for the charges against Assange. "They clearly say that Manning had legal access to all of this information. It was only in the attempt to log in under a different user ID and a new password to try to hide her identity," Lauria noted, "it wasn't that she had illegal access to it. So he was simply trying to help her hide her identity by logging in under a different name." "There's no allegation here that Assange himself tried to hack to get that information," Lauria said, noting that if he could have done so, he wouldn't have needed Manning in the first place. "So the password is the issue here; it is not that he stole these documents. 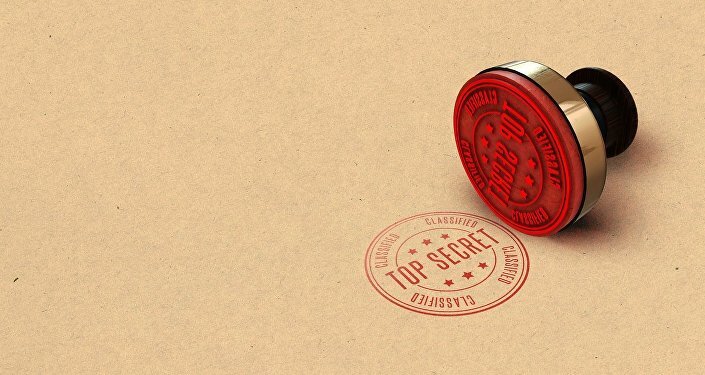 He was given them as a publisher to publish them — however, under [Section] 793(e) of the Espionage Act, it is on the books a crime for a journalist or a publisher to possess classified information and to disseminate that. This is the issue that has to be challenged someday — the constitutionality of it — but it's still on the books there, and that reference to it in the indictment is quite creepy, in my opinion," Lauria said, noting it may signal they'll go after Assange later under the Espionage Act. "They are criminalizing journalism," Lauria said, noting that was a line the Obama administration was unwilling to cross. "It's an important moment where we're going to see where people stand on this. Politicians, people in the media, they gotta take a stand right now; it's come to a head. I think it's a really crucial moment in this huge, huge issue about freedom of the press."